Are you planning to schedule mulch delivery soon? Experts recommend mulching soon after the first hard frost hits and, in northern Utah, that could happen any day now. When it comes to winter mulching, most homeowners put the focus on choosing the right product, deciding which garden beds need protection and determining how much material they need. However, experts recommend doing a bit of prep work before the mulch delivery truck arrives. You could simply dump a layer of mulch on your garden beds, but experts recommend cleaning them up first. Get rid of any weeds and spent plants, then rake out any debris that remains. If you like, sort out the organic material and add it to a compost bin. To prepare for mulch delivery, you should also use an aerator tool to allow the garden soil to breathe. Loosening up the soil creates better soil conditions, leading to healthier root system development in your next plantings. Before mulch delivery day, take the time to give your garden beds nice, clean edges – that way, the material will stay where it belongs. Use a square shovel, inserting the blade vertically to form a narrow trench, then sink strip edging in the channel or install decorative brick or stone edgers. Your last preparation step is to select a spot for the delivery professionals to place the material. Many homeowners decide on the driveway or a paved backyard surface, like a patio, but the mulch can go anywhere – as long as there’s a clear path to the delivery site. Are you ready to schedule delivery of high-quality mulch to your northern Utah property? The Dirt Bag, based in West Jordan, offers a range of affordable, easy-to-apply bagged and bulk organic products that provide winter protection and blend well with the landscape. The Dirt Bag offers delivery service to homes and businesses throughout Salt Lake County and the surrounding Utah communities. For more information, or to schedule mulch delivery, contact us today. What’s the difference between compost and fertilizer? And which is the best choice for your garden? Knowing how to answer these questions might not be easy if you’re new to gardening. Compost is a mixture of decomposed organic matter, like plant waste and manure, and it works to feed garden soil. 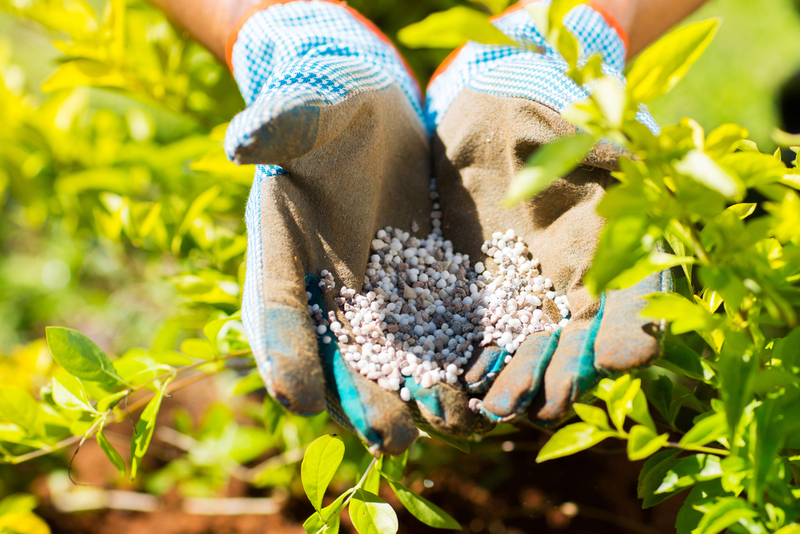 Fertilizer, on the other hand, can be a blend of either organic or synthetic substances suited to feed garden plants. Many gardeners have great success using compost, but plants can often benefit from the concentrated nutrients fertilizer contains. Here, we look at the pros and cons of both products to help you decide which on the best landscape materials for your garden. Helps keep weeds under control. The main drawback of using compost in the garden is that it takes time to make. However, that problem is easy to solve – simply buy bagged or bulk high-quality compost from a local landscape materials supplier. As for the negatives of using fertilizer? One is the risk of overloading the soil with nutrients. If a gardener reapplies fertilizer before the soil has time to absorb all of the nutrients, plants can experience poor growth. Organic fertilizer is preferred by many gardeners, as synthetic fertilizer can harm the surrounding environment. As you can see, there are advantages and drawbacks to both compost and fertilizer. Some gardeners say that compost is all anyone needs, as it contains microbes that encourage healthy plant growth. Others prefer to use fertilizer to supply plants with specific nutrients that may be lacking in the soil. Often, however, the best solution is to use both. Compost works well with fertilizer, sponging up and storing the nutrients until they’re needed by the garden plants. Gardeners that go this route typically choose organic fertilizers over synthetic products, as the chemicals in the latter can discourage the beneficial microbe activity in compost. With the many different soil amendments available, deciding which products to use in your garden can be a challenge. The best way to make a choice? Turn to a local expert in landscaping products – like the professionals at The Dirt Bag. As a leading northern Utah supplier of high-quality bagged and bulk landscape materials, The Dirt Bag understands how to create a healthy soil environment that encourages plant growth and can offer advice on whether you should use compost, fertilizer or both in your garden. To learn more, or to schedule delivery, contact our West Jordan office today. Soil conditioner provides the optimal environment for growing vibrant and healthy Utah gardens. This soil amendment is made from expanded shale, or shale ore that has gone through a super-heating process in order to mimic the structural character and performance of pumice – a natural, but more expensive product. 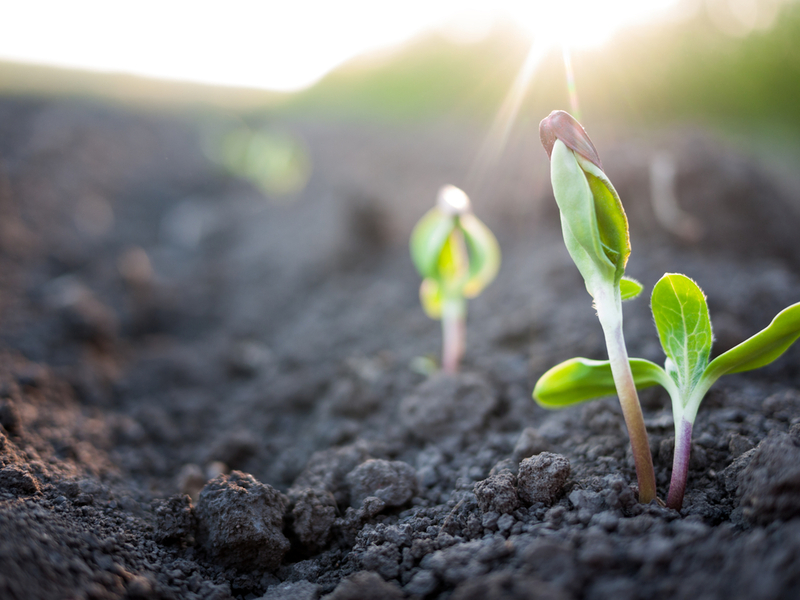 If you want healthier plant establishment and long-lasting results, soil conditioner could be your ideal solution. Read on to find out why. In Utah, garden soil is often dense, comprised of heavy clay that is problematic for plant growth. Expanded shale conditioner breaks up heavy clays, enabling plants to get the air and water they need. When drought conditions affect northern Utah, garden plants grown in soil amended with expanded shale conditioner continue to thrive without much additional water. The amendment helps hold moisture, reducing watering requirements. At the same time, the porous nature of soil conditioner encourages proper drainage. The heavy clay soils common in Utah gardens are susceptible to waterlogging, and without the right amendment, the issue can adversely affect plant growth. Garden plant roots need adequate oxygen for healthy growth. An expanded shale soil conditioner, used in the right amount, has just the right porosity to improve aeration and develop suitable soil density. Thanks to the structure of expanded shale, gardens amended with conditioner are able to hold onto more important nutrients. After applying soil conditioner, fertilizer feedings can be easily regulated and, in some cases, minimized. With expanded shale conditioner, Utah gardens are much less likely to become compacted after watering. Apply just a few inches over the surface, till the ground, and the soil structure will stay at its best all season. Expanded shale conditioner also makes for a smart addition to compost. The material provides a buffer for the decomposing matter, and, once worked into the garden, the amendment helps provide optimal long-term structure. 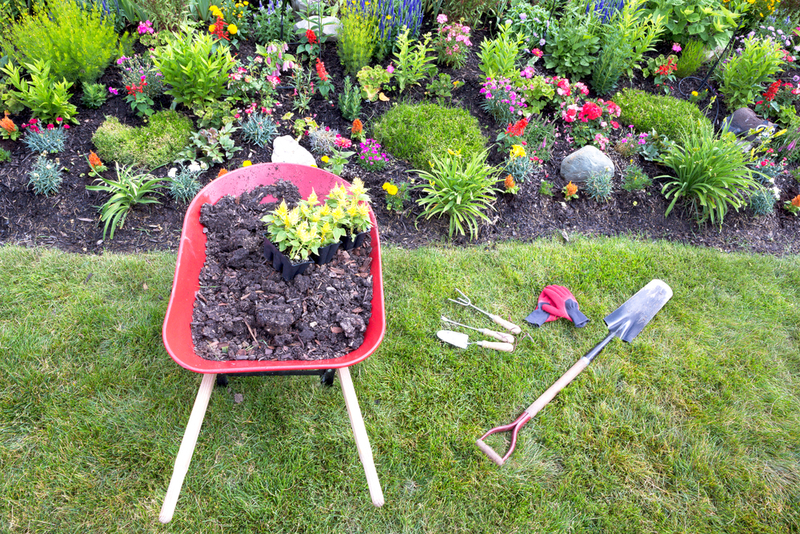 Is soil conditioner the right amendment for your Utah garden? With all the advantages it provides, the product – available in bulk or bags here at The Dirt Bag — is a favorite among local landscapers and gardeners. Incorporating it into your gardens is quite simple, and a single application offers a long-lasting boost of your soil’s quality and performance. The Dirt Bag team can give you expert advice on the best soil amendments and landscape materials to meet your gardening needs. For more information on our expanded shale soil conditioner, or to schedule delivery to your northern Utah home, contact our West Jordan office today.